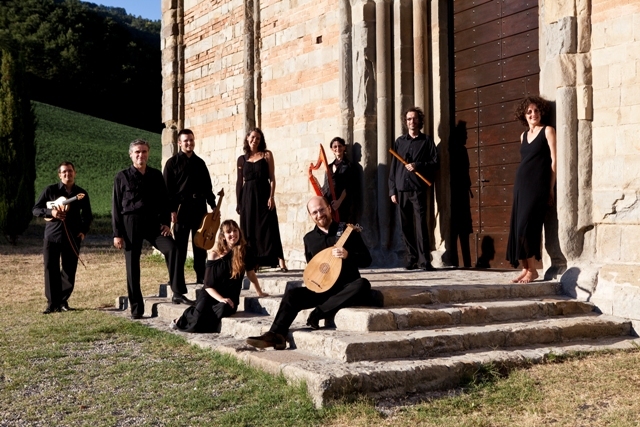 La fonte musica is an ensemble specialized in late-medieval music on period instruments, founded and led by Michele Pasotti. It was founded to interpretate the astonishing musical season which goes from the end of the middle ages to the beginning of the humanism (ca. 1320-1440), with a particular focus on Italian Trecento. A constant and serious philological research is at the origin of every project of la fonte musica. At the centre of La fonte musica's interpretative idea stands the humanistic imperative "tornare alle fonti", to the roots of medieval polyphony, to the deep meaning of the lyrics and of writing choices, to a careful deciphration of the rhethorics and of the musical grammar in order to understand, render and translate for us, today, an extraordinarily creative, experimental and refined music, still almost unexplored. La fonte musica's live performanes are characterized by a vocal and instrumental virtuosity, essential to correspond to the complexity, care for details and audacious experimentation typical of the Ars Nova and Ars Subtilior, and an idea of the concert as a global performance where listening, vision and gesture interact. The ensemble has been invited, among the others, by festivals like Resonanzen (Konzerthaus Wien), Konzertsaal der Wiener Sängerknaben (Vienna), Les Inouies in Arras (France), Musica Sacra Piber (Austria), Cantar di Pietre in Switzerland, I Concerti dell’Accademia Bizantina, La Via Lattea, Gaudete! Festival, Le Vie del Barocco,, Musica nei Chiostri, Musica Ricercata, Ghislierimusica, Emozioni in musica and Musica in Università and Sant’Agostino tra musica e filosofia in Italy. La fonte musica organized, in cohoperation with the University of Pavia, an international musicological meeting on “Music and art in Visconti territories”, ended with a concert by the ensemble. In every public appearence the ensemble has been praised by audience and critics for the accuracy of the performances, the deep penetration of the scores and lyrics and a communicative energy uncommon in this repertoire. The ensemble has invitations to Festivals in Europe (Nederlands, Belgium, Poland, Austria, Finland, Switzerland and Italy) until 2016. The first recording project "Le Ray au Soleyl. 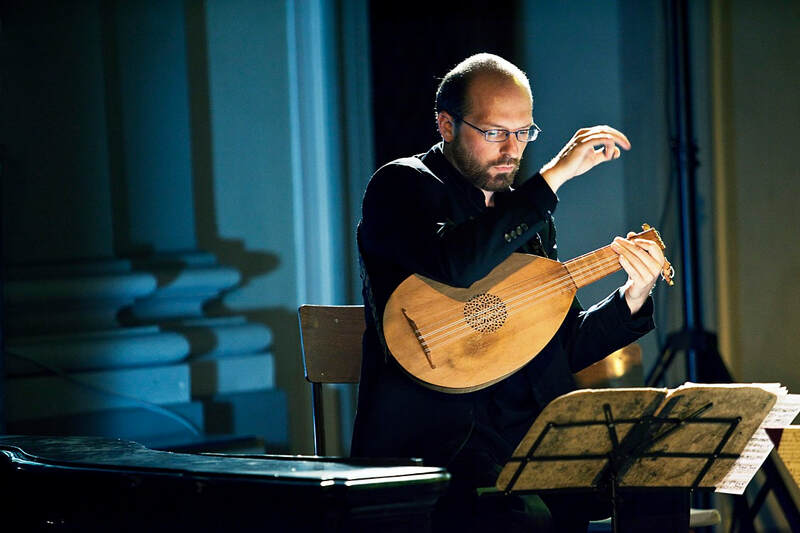 Musica alla corte pavese dei Visconti (1360-1410)" came out in April 2011 and was published by ORF/Alte Musik. Renowned classical music magazine Diapason rated the cd with 5 Diapasons and reviews it as an “impressive first disc”. Also other critics have reviewed this cd very positively. La fonte musica’s second cd “Metamorfosi ’300. Trasformazioni del mito nell’Ars Nova”, was released early 2017 (label: Alpha) and is rewarded with a Diapason d’Or.